When your co-workers, family, or friends start asking "Are you okay?" more than any other question, it's a pretty good sign that you need to pack up your life for a weekend, a week, or even longer and take a much-needed vacation. While workers in the United States get less vacation time than those in many European countries, this precious time off sometimes goes unused completely in favor of taking the money instead - or simply out of fear of becoming unnecessary while away from the office. Well, stop worrying and start dreaming, because there are many reasons you need a vacation right this second. It probably comes as no surprise to find that those who are stressed need a vacation the most, as they continue to suffer in silence instead of taking time off. A 2011 study by the American Psychological Association shows that at least 36% of all employees are stressed out during the course of the workday, and are generally unhappy with their jobs. Much as we'd like to leave our problems at the office, that generally doesn't happen - just ask the spouse, kids, and pets. One of the best ways to combine stress relief with fun? Take a beach vacation. Not only is the swimming great for your health, but simply being near the water might induce a calm, meditative state while unleashing creativity. You'll return to work not only relaxed, but bursting with amazing ideas (although feel free to keep some of those for your own personal use). Either Bush, for that matter. 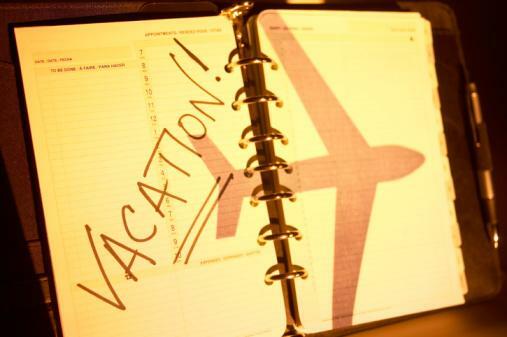 It's bad enough that Americans use only a portion, if any, of their vacation time each year; even worse off are those who continue to neglect their need for time away, year after year. Maybe you've been saving all this time to afford to go all out and take the vacation of your dreams. Great! Let this year be the year you do that. Because being relaxation-deprived isn't doing anyone any favors. And ordering a Mai Tai at the local watering hole during happy hour is hardly a substitute for lounging poolside and ordering one - it really, really tastes better while in a bathing suit. Ah, social media. It lets us keep in touch, share funny stories, and in general, makes the world a smaller, cozier place. It's also responsible for creating raging FOMO (fear of missing out). While teens and young adults tend to experience this to a degree, it's the older adults that really get smacked in the face with it: All of those vacation photos on Facebook and Instagram? Sure, they're lovely, but they can also reduce an already stressed-out 30-, 40-, or 50-something into a puddle of longing. An even worse kind of FOMO is when you're on vacation and worried about missing something at work. Stop it. Just stop. Step away from the electronic device, think about what mountain (or hill, let's not get overzealous) is next on the itinerary, and start walking. There, isn't that better? It's no exaggeration that children of the 21st century spend more time on their electronic devices than they interact with other humans. 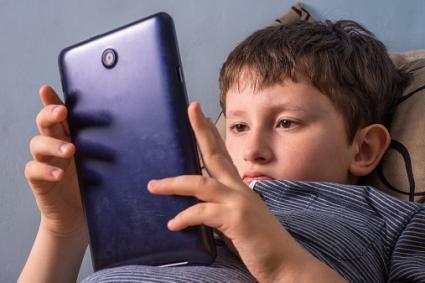 One study shows that kids between the ages of 8 to 18 spend more than seven and a half hours each day on cellphones, tablets, and computers - which doesn't even count the extra time they spend texting or talking on the phone. So while you're stressing out at the office, your offspring are suffering from a different kind of stress, brought about by the "always need to be online" mentality. Taking a family vacation should include unplugging, and if it involves camping in an area not exactly known for a strong Wi-Fi signal, so much the better. One caveat: If there's a long road trip beforehand which includes more than one kid, you might want to let them keep their tablets or phones nearby to preserve the peace. Baby steps. With a multitude of travel websites offering inexpensive flights, hotels, car rentals, and more, anyone can book a vacation that won't clear out an entire savings account. Since lack of money is often cited as one of the main things holding back would-be travelers from globetrotting, you may be excited to find out about the many options out there that can lead to reduced-cost or even free trips. Start by getting a credit card that lets you collect air miles, should your destination involve taking a plane. Keep an eye out for deals that let you get extra miles, and simply use that card for all your purchases. Once you arrive, stay there for cheap via any number of online marketplaces such as Airbnb or CouchSurfing, or become a house sitter. There are always free attractions, no matter what city you choose, and a little research will help you find cheap meals (or cook them yourself). If you really hate your job and are looking for more than just two weeks away, consider an overseas job - anything from farming to bartending to teaching English. If you stopped to wonder if you even have a passport, you definitely need to get away; since pretty much all air travel to anywhere outside of the United States now requires one, it's best to get that ball rolling now. (They're also extremely handy if you lose your driver's license, as it's a legal photo ID document.) An empty passport is an even sadder sight, especially if it's just been sitting in a secure, fireproof box in your closet for years. When you start visiting all of those places dancing in your brain, you'll get a cool collection of stamps…which you can then use to give others FOMO for a change. Does this sound familiar? You spend a lot of television time watching both the Food Network and the Travel Channel in order to learn what foods you'd love to try if the opportunity arose. If that describes you to a T, then it's time to stop watching and start doing. 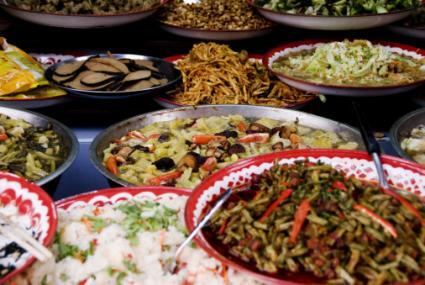 There are culinary tours, which are, as the name suggests, designed around eating; some of them even let you do hands-on cooking so you can wow your loved ones once the trip has ended. Enjoy plump dumplings after hiking the Dolomite Mountains in Northern Italy. Scour one of Bangkok's busy marketplaces for fresh ingredients before learning to combine the ingredients in a cooking class. Visit Australia's Kangaroo Island to mingle with wildlife, then sample sheep's-milk cheese and southern rock lobster. If you want to meet new people while enjoying new dishes, check out a communal table opportunity and expand your horizons even further. For a total disconnect from your routine, travel to a foreign land can help you gain perspective. Wandering through museums and art galleries are great ways to experience other cultures, but there's nothing quite like total immersion to give you a full understanding of how others live. One of the best ways to start is by moving slowly and deliberately, taking in not only the popular tourist attractions but the off-the-beaten-path places that most tourists never venture. If you don't need to get anywhere fast, walking instead of taking another mode of transport can be incredibly eye-opening. Listen to the speech of those surrounding you, smell what's cooking, and decide if the sunset in Dubai looks different than it does back home. Hint: It might, but both are fantastic - and maybe from here on, you'll actually stop to watch the sunset at home. In case you're still hesitating - after all of these compelling arguments - keep in mind that some of the places you're aching to visit may not be available in the years to come. Climate change is actually making several of the world's most scenic spots disappear, some more quickly than others. If you've been thinking about the Maldives, the islands are danger of being covered in water; even the Alps are changing, thanks to loss of glacial ice. 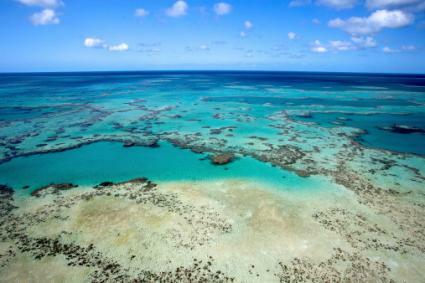 Don't miss out on your dream jaunt to the Great Barrier Reef because "Free Pizza Day" at work is easier to plan for. The world is calling - go and answer it!